Last Friday we announced the immediate launch of the new 2018 design for start.me. We received a lot of feedback. There were some compliments, but we received some complaints and requests as well. The main feedback we got was about the color of the new design. Some of our users were quite fond of the dark grey header theme and disliked the new, much lighter design. 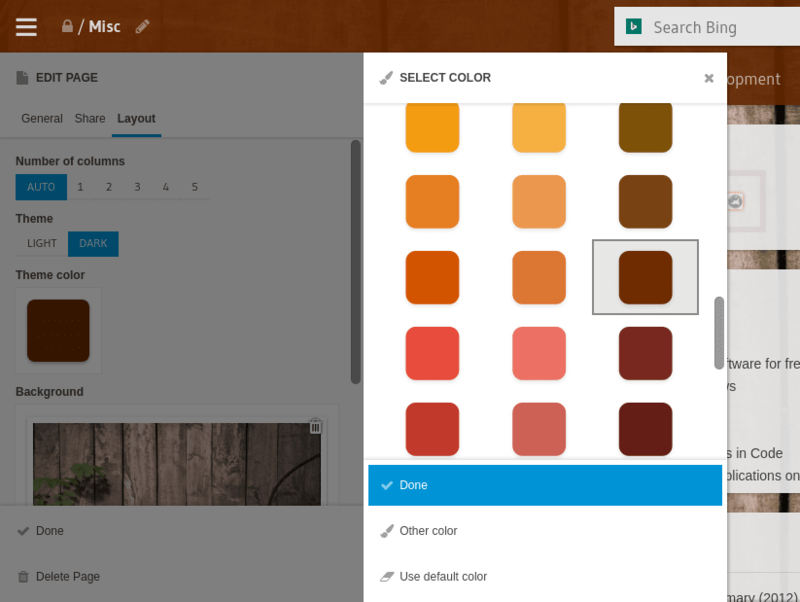 Valuable feedback, and we immediately started work on a new customization feature: custom theme color. With the update we just launched it is now possible to choose between either a light or a dark theme. The light theme will give you a light background and black fonts. Switch to the dark theme to get a deep grey background with bright text. It’s just a toggle in the page layout settings. But there is more. Not only can the theme be switched from light to dark, we now offer complete control over the theme’s primary color. This color will be used both for the header and the page background. Any color can be selected, although we would recommend using pastels or darker shades. Depending on the color you choose, either the light or the dark theme will work better. That’s up to you to decide! The color picker offers a new and improved palette of colors designed to work well as theme colors. But it is possible to specify a custom color code as well. Currently, you will have to specify custom colors as so-called hex codes. These are color codes as they are used in HTML and all popular image editors like Photoshop and The GIMP. A great tool to mix colors and get their hex codes is the color picker by Dixon and Moe. 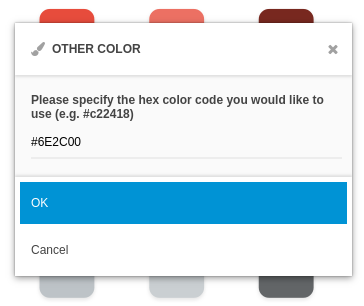 Mix and pick a color you like and paste its hex code in our Other color box. The effects can be really astonishing! The same flexibility in color choice is now available in the icon picker for bookmarks, giving you nearly unlimited freedom to customize the look of your bookmarks the way you like. Admittedly, the system with the hex color codes is not quite perfect, but we didn’t want to make you wait for this great customization feature. In the future, we will hopefully be able extend the color picker with fancy RGB and HSL options. We sincerely hope you like the new customization options. Our pages really look very beautiful with all their new colors and we are very curious to see what your pages will look like with the new theme color options. Enjoy!